The FS 56 RC-E is a versatile straight shaft brushcutter featuring stratified charge engine technology that cuts fuel consumption by 20% and exhaust emissions by 50%. It is equipped with the Easy2Start™ system for effortless starting, a TapAction™ AutoCut 25-2 cutting head for easy line refilling, and a stop switch that automatically returns to start position. This unit is ideal for homeowner or light-duty professional use. STIHL Easy2Start™ (E): A genuine advance in easy starting. 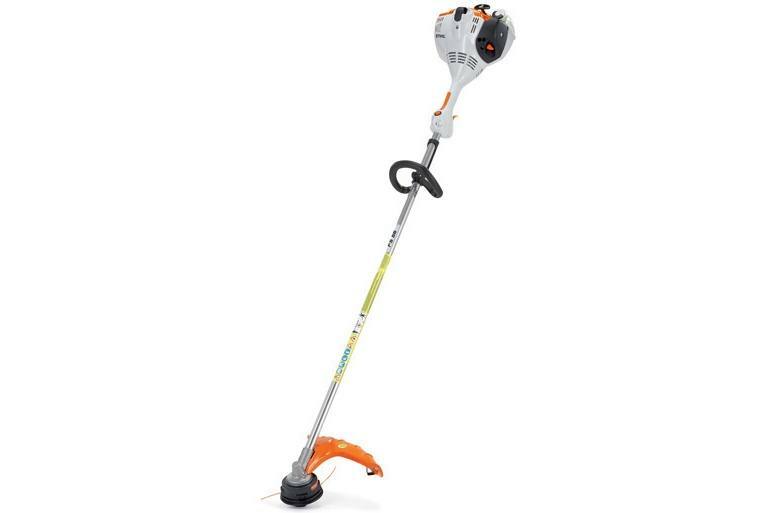 STIHL Easy2Start™ (E) cuts the effort required to start the tool by half, while the starter cord can be pulled at just one third of the normal force. All it takes is 2 fingers and a gentle pull action.